I discovered the garden only recently, and by accident. The Tuesday morning after the Clapham Junction riots, I joined the ‘Broom Army’ to help tidy up the town centre. I invited several local mothers along and we joined hundreds of residents with gloves and bin liners. As a spontaneous group of volunteers, we had no leadership until Heather, a ‘social media guru’, and James, a helicopter pilot, decided to take control of the situation; they directed our efforts with confidence and good humour for the rest of the day. 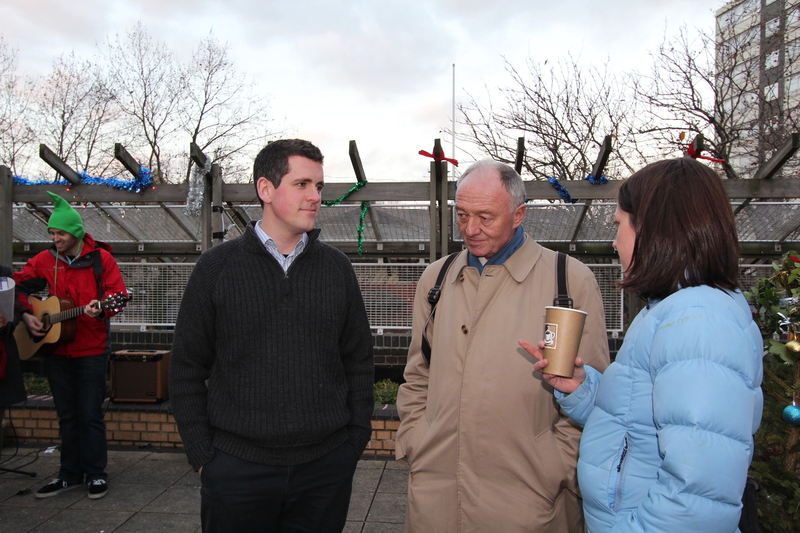 The following evening I was in the public square on the Doddington Estate in Queenstown, discussing with local shop-keepers how we might respond to the riots. The mothers from the riot clean up arrived and climbed a metal staircase up to the roof above the shops. I asked where they were going and they invited me up to the Doddington Community Garden, a green space about the size of a football pitch that had sadly fallen into disuse after years of anti-social activities. They took home a good crop of carrots that they had grown in a small part of the garden, much of which was still overgrown or unkempt. I tracked down Heather online and asked if she would encourage the Broom Army volunteers to help with the community garden that weekend. She spread the word via Twitter, determined that the incredible spirit of the Clapham Clean-Up should be translated into good works in the community with a ‘Dig for the Dodd’. We had no clue how many people, if any, would turn up. In the event dozens of people people came, the sun shone and a local firm pledged a ton of topsoil! Images from the day are here and a video is here. I’ve since returned to the Garden to see local people of all backgrounds enjoying the chance to grow their own organic food, plus pensioners relaxing on benches and children playing around between the plots. 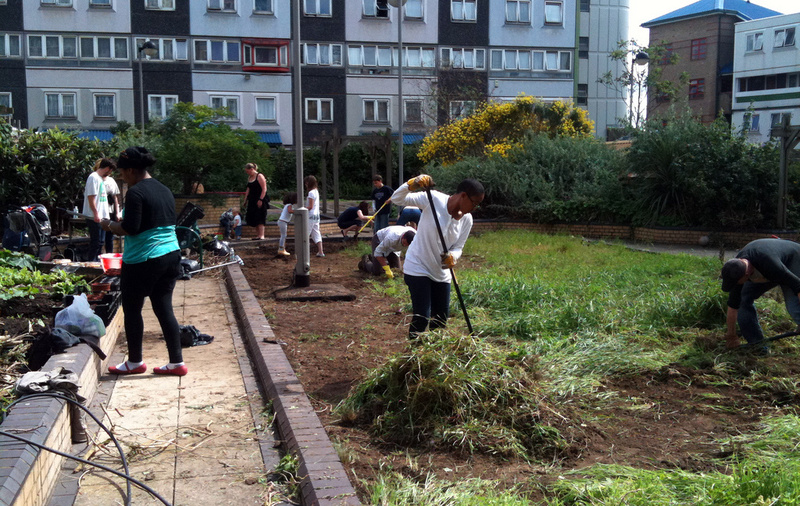 The Doddington Estate is still a very tough environment to grow up in, but thanks to community gardeners such as Andrea McDonald and David Elston, it is now a better place. Please check out their Facebook group if you would like to get involved. 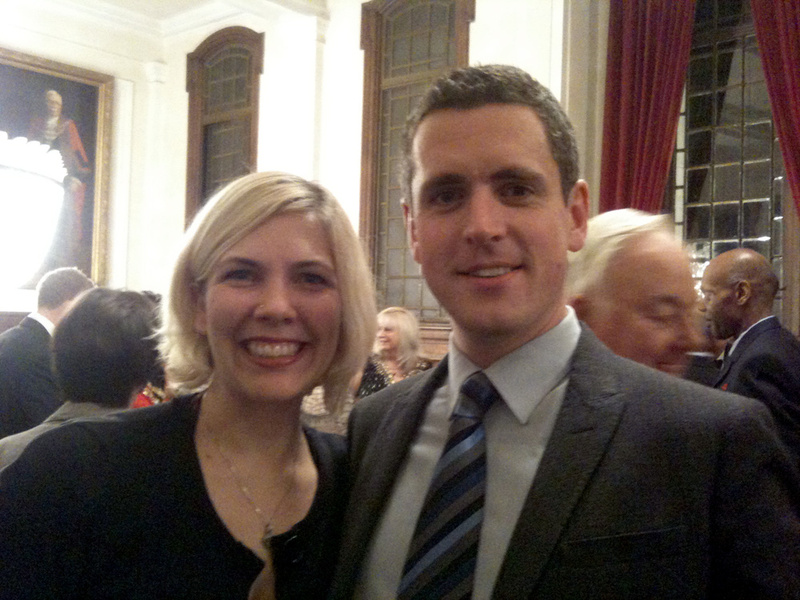 STOP PRESS: Last night Heather and James were honoured at the Wandsworth Civic Awards for their community leadership following the riots. Many congratulations! 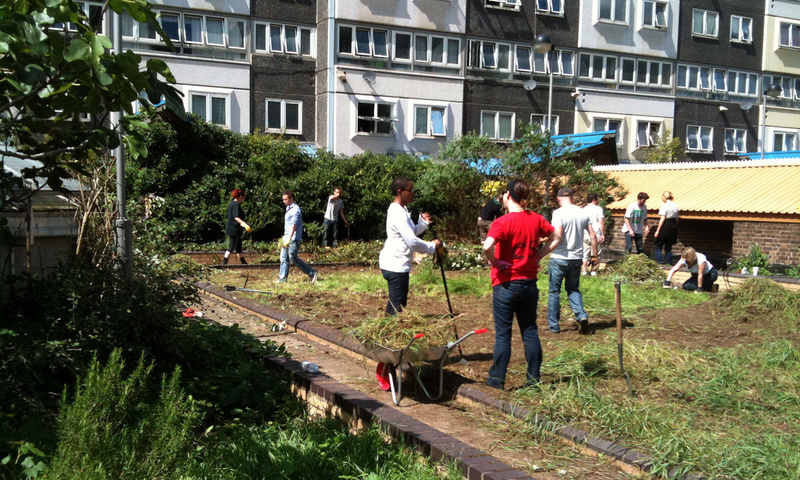 A group of volunteers came together in September 2010 to open up and make use of a previously locked up green space in the middle of the Doddington council estate. Over the course of a year the garden has been opened at set hours each week for local people to enjoy and to get involved with growing flowers, fruit and vegetables. There have also been regular community days held in the garden with food, games and entertainment. The community days have also been an occasion to get to know our neighbours and share locally grown produce. Many people from across the estate have come together and a space has been created which everybody feels safe to enjoy. With increasing numbers of people involved, it is now necessary for a significant injection of funding, so that the garden can be used to its full potential. In order to facilitate gardening all year around, a greenhouse is needed, along with a large shed to securely store tools. In order to increase the scope of community days, a high quality barbecue and waterproof gazebo are essential. In order to more fully engage with local families, resources are required to set-up workshops which focus on gardening, art and healthy eating.